Windows has default color for your taskbar and border. Windows 7 has provided you to change the color of your taskbar and border on your computer. 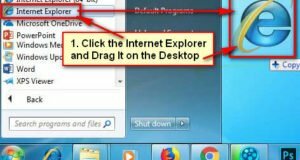 In the article below I provide you the easy method to change taskbar color Windows 7 and give you a new look. 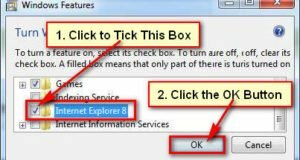 Follow few steps to know How to change taskbar color in Windows 7 home basic. 1. 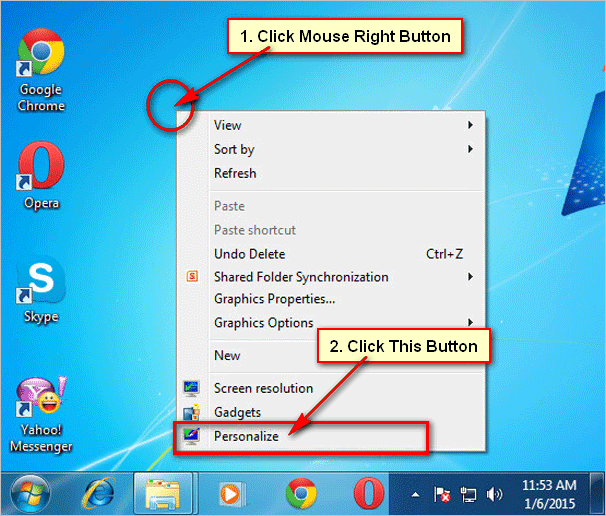 Go to your Windows 7 desktop screen and click mouse right button on the screen. Few options will appear then click Personalize from the hare. 2. A new window will open. Find the Window Color button from this window. 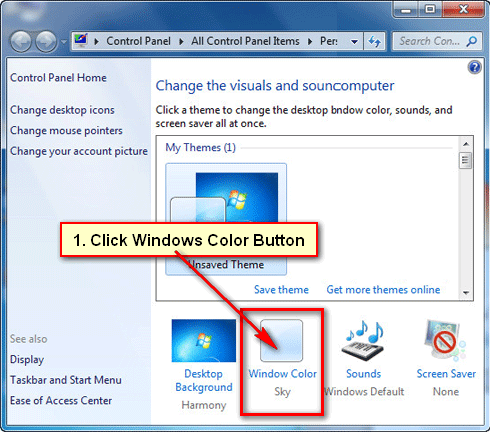 Click on the Windows Color button to change taskbar color windows 7 basic. 3. Window color and appearance window will open. Hare, you will find the various color buttons. You can choose any color for your taskbar. Click any color button and see the change. 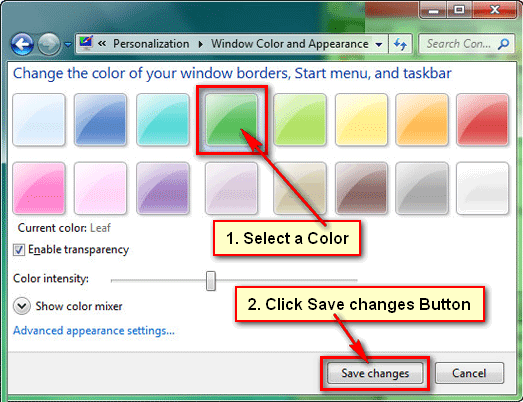 Choose a color button and click the Save changes button to keep it for your taskbar color. 4. You also change your Windows taskbar transparency. If you tick the Enable transparency check box then your taskbar will become transparent including your window all borders. Or, if you uncheck the Enable transparency check box then your taskbar will show without transparent. 5. Click on the Show color mixer to make a color combination by him for your taskbar. 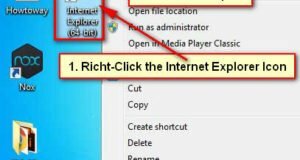 When you all settings will complete then click the Save Changes button to change taskbar color windows 7 home basic.